The move will benefit almost 34,000 contract cleaners. CONTRACT CLEANERS ARE to get pay increases and will no longer be charged on a rolling basis for their uniforms. An order signed by Pat Breen TD, Minister for Employment and Small Business, means that three pay increases for contract cleaners will kick in. It provides for a new pay rate of €10.05 per hour – up from €9.75 – to come into effect 55 days from 1 November, 2016. Two further pay increases will come into effect on 1 December 2017 and 1 December 2018, when the rates will go up to €10.40 and €10.80 per hour, respectively. It almost means that deductions/charges for uniforms have ended for all existing employees, and an initial one-off charge of €15.00 will apply for new entrants. The minister said that the changes came due to the Contract Cleaning Joint Labour Committee. Labour Party spokesperson on Labour Affairs and Workers Rights, Senator Ged Nash, welcomed the news. He noted the fact that “the outdated and unfair practice of deductions and charges for uniforms was brought to an end”. Our work to ensure fairness and decency at work continues. Nash said he will move the Uncertain Hours Bill to second stage in the Seanad in two weeks’ time. There are still too many people in this country going to bed on a Sunday night and not knowing how many hours they will work and therefore how much they will earn that week. This legislation seeks to better regulate low hours and uncertain hours work and give people more security and certainty in terms of their working week. SIPTU also welcomed the news, saying the pay deal follows agreement on a newly amended Employment Regulation Order (ERO) for the sector which was negotiated over recent months between SIPTU shop stewards and officials and employer representatives within the Joint Labour Committee structure (JLC). She added that this is “an industry that has been traditionally characterised by low pay and precarious working conditions” but said the moves will go some way towards improving employment standards for cleaners. Negotiations with employers for the new ERO at the Joint Labour Committee were led by SIPTU Sector Organiser, Diane Jackson, who said that cleaners “carry out a vital role in our society”. “They ensure our hospitals, schools and workplaces are cleaned to a high standard. 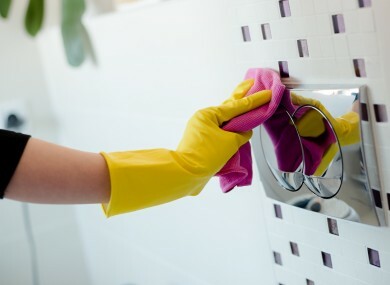 It is a difficult job and cleaners experience much pressure with increased workloads. They deserve to have their work valued,” she commented. Email “Cleaners to get pay increases and an end to deductions for uniforms”. Feedback on “Cleaners to get pay increases and an end to deductions for uniforms”.